Note 2: To keep this post short I only include key commands. Advanced ONTAP skills are a pre-requisite in order to perform the ARL headswap. Read and understand the process! IMPORTANT: If you get a warning “The (NVRAM) battery is unfit to retain data”, allow the battery to charge (do not override). The boot device has changed. System configuration information could be lost. Use option (6) to restore the system configuration, or option (4) to initialize all disks and setup a new system. 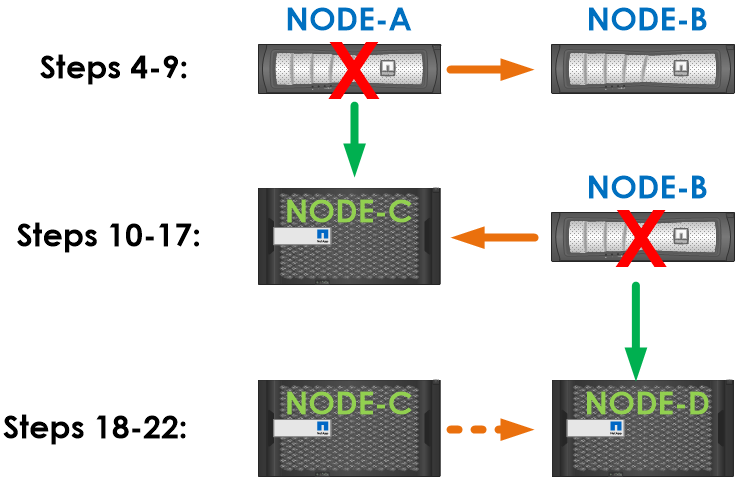 Note: If you are upgrading to a system with both nodes in the same chassis, install both nodes in the chassis. Both nodes can be left on the LOADER> prompt. - if defaults to false, so if this is not set to true on both replacement heads (in the switchless cluster) prior to boot, it’s a support case. Note: This is far from an exhaustive list. The idea is a snapshot of information which can be used for comparison purposes later on. Wait for the backups to complete. 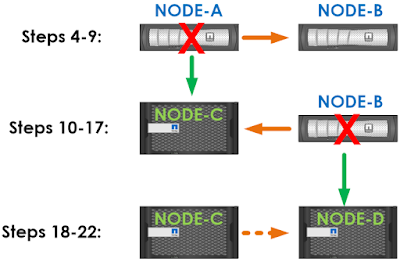 system node autosupport invoke -node NODE-A -type all -message "Starting ARL process"
system node autosupport invoke -node NODE-B -type all -message "Starting ARL process"
Hi Vidad, we have some FAS8080EX systems which require a head swap out to FAS9000 units. Would you happen to know what needs to be done via a non disruptive head swap with the ifgrps when the physical ports differ from the source and destination heads ? Thanks for the reply Vidad. Is there any particular document on the process with more detailed steps anyway ?